David Abravanel joins us to walk us through technique here using Softube’s Modular platform, all with built-in modules. 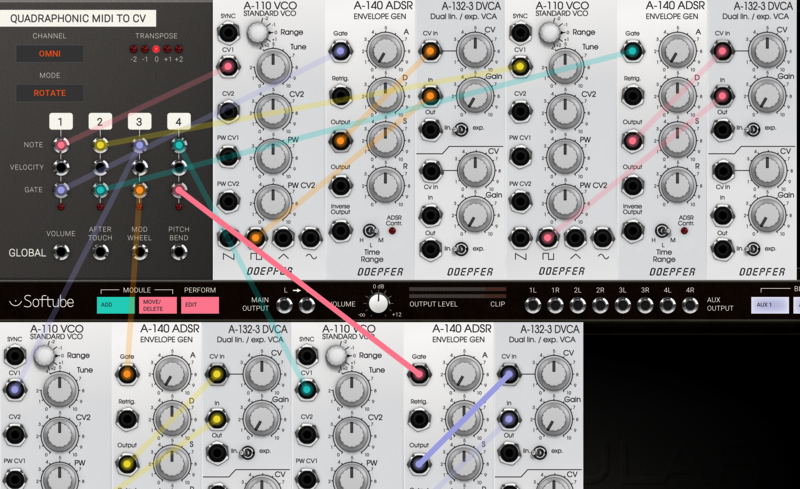 If you missed the last sale, by the way, Modular is on sale now for US$65, as are a number of the add-on modules that might draw you into their platform in the first place. But if you have other hardware or software, of course, this same approach applies. -Ed. If you’ve ever played an original Korg Mono/Poly synthesizer, then you know why it’s so prized for its polyphonic character. 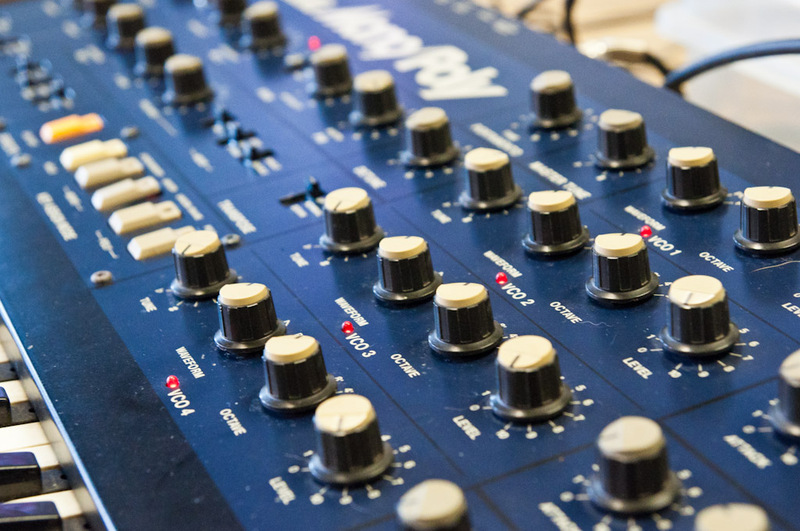 Compared to fully polyphonic offerings (such as Korg’s own Polysix synthesizer), the Mono/Poly features four analog oscillators which can either be played stacked (monophonic), or triggered in order for “polyphony” (though still with just the one filter). The original KORG classic Mono/Poly synth, introduced in 1981. The resulting sound is richly imperfect – each time a chord is played, the minute difference in timing between individual fingers affect a difference in sound. Wiring up the first oscillator. That’s not bad, but we can spice it up a little bit. I went with two pulse waves, a saw wave, and a tri wave for my four oscillators – I’ll add a couple LFOs to modulate the pulsewidths of the two pulse waves and add some thickness. 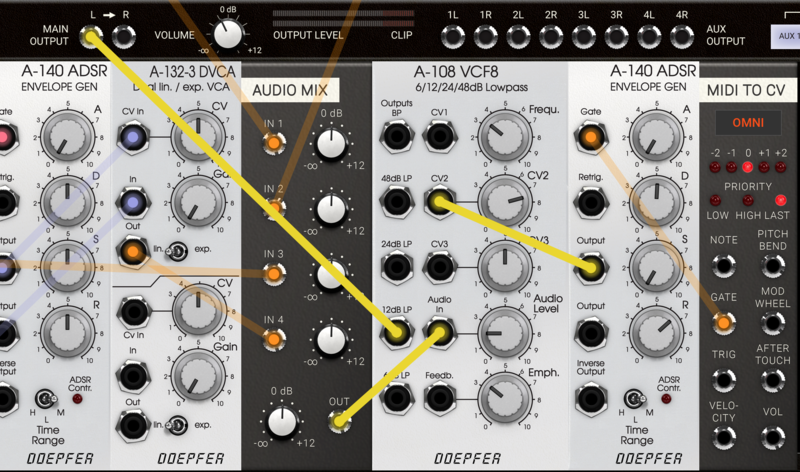 For extra dubby space, I’m also adding the Doepfer BBD module, a recent addition to Softube Modular which includes a toggle option for the clock noise bleed-through of the analog original. I’m also adding one more LFO, for a bit of modulation on the filter. Adding in some additional modules for flavor. The Doepfer BBD (an add-on for the Softube Modular) adds unique retro delays and other effects, including bitcrushing, distortion, and lots of other chorusing, flanging, ambience, and general swirly crunchy stuff. Honestly, the characterful BBD module deserves its own article – and may get one! Stay tuned. And there we have it! A polyphonic patch with serious analog character. You can also try playing monophonic melodies through it – in Quad MIDI to CV’s “rotate” mode, each incoming note will go to a different oscillator. Want to try this out for yourself? 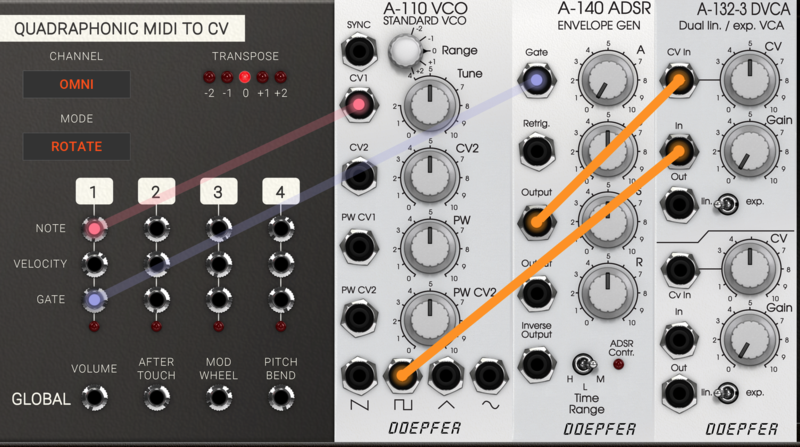 Download the preset and run it in Modular (requires Modular and the BBD add-on, both of which you can demo from Softube). We’re just scratching the surface with Modular here – there’s an enormous well of potential, and they’ve really nailed the sound of many of these modules. 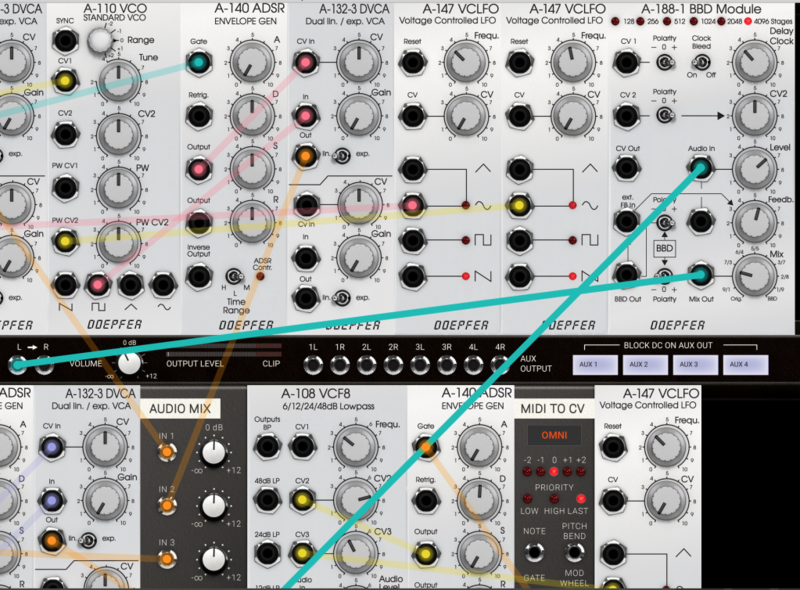 Modular is a CPU-hungry beast – don’t try to run more than one or two instances of a rich patch like this one without freezing some tracks – but sound-wise it’s really proved its worth. Stay tuned for future features, as we dive into some of Modulars other possibilities, including the vast potential found in the first ever model of Buchla’s legendary Twisted Waveform oscillator!